Check out the newest CU pack that I have uploaded to my stores! It has 4 templates in it and 3 greyscaled pngs as well as one paper! It is sized so both taggers and full size scrappers can use it! You get a mobile, a teething ring, a rattle, a sweet baby face, a moon, footprints, and a star. The paper is a quilt pattern, perfect for baby themed projects! Now, the elements above are also in my personal use kit called BABY BLISS which you can also find at my stores. But I have a little add on here for you to download so you can keep all those early memories of the little ones in your life... It is PERSONAL USE ONLY. Do not share, direct others here to my blog to download themselves. 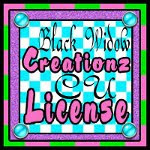 This add on can be used for full size scrapbooking as well... not just tagger. I really hope you enjoy it! The theme for this one is breastfeeding. We just wrapped up World Breastfeeding Week so perhaps you have some photos to use with this! There are 5 papers and 15 elements in this kit. Drop shadow is only on preview.